After short videos teasing the members of the League, Warner Bros. Pictures has finally unveiled a full trailer for the upcoming superhero movie, Justice League. 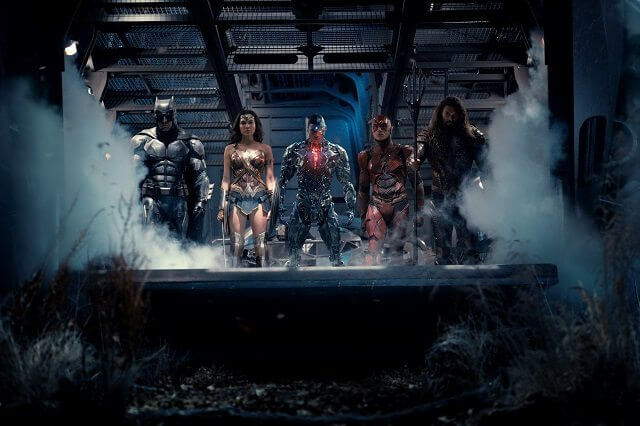 Directed by Zack Snyder, the action film features Ben Affleck as Batman, Gal Gadot as Wonder Woman, Ezra Miller as The Flash, Jason Momoa as Aquaman, and Ray Fisher as Cyborg. Interesting to note: Superman (Henry Cavill) does not appear in the new trailer nor did he appear in the teaser trailers leading up to the full trailer’s release. Justice League is set to open in theaters on November 17, 2017. The Plot: Fueled by his restored faith in humanity and inspired by Superman’s selfless act, Bruce Wayne enlists the help of his newfound ally, Diana Prince, to face an even greater enemy. Together, Batman and Wonder Woman work quickly to find and recruit a team of metahumans to stand against this newly awakened threat. But despite the formation of this unprecedented league of heroes—Batman, Wonder Woman, Aquaman, Cyborg and The Flash—it may already be too late to save the planet from an assault of catastrophic proportions.